Baby Grade - did you know? All our baby grade fruits have to pass stricter tests than all other non-baby ingredients for the protection of your little one! 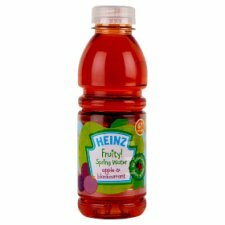 This juice contains naturally occurring sugars which can cause tooth decay, please ensure you brush teeth regularly. Once opened, replace cap, refrigerate and use within 4 days. Do not return unused juice to the bottle for storage.